The ultimate upgrade for your HPI Savage Flux HP or XL! 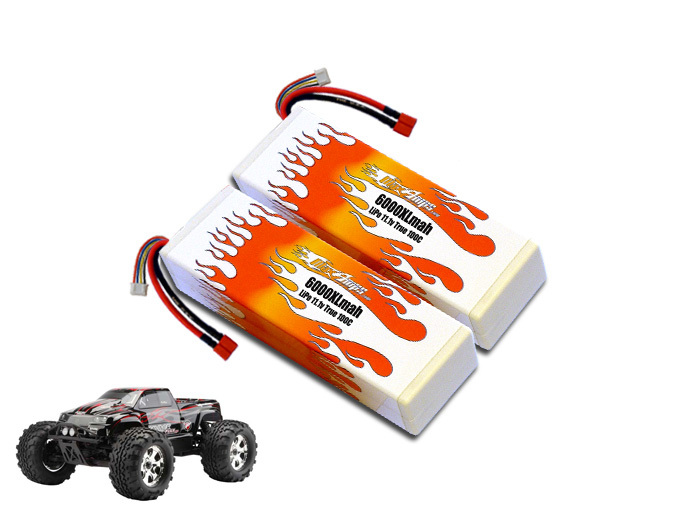 This is for 1 pair of our new 6000XL 11.1V lipo packs. One left side and one right side custom wired to fit the Savage Flux battery compartment. No tray modifications required. These packs will make your brushless HPI Savage Flux scream! If you're looking for an insane amount of power, these are the packs for you!